An amazing health drink with the goodness of dry ginger, coriander seeds, cardamom, cumin seeds and black peppercorns to protect your health and to recover from various illness. Drink it at least twice a week to keep you energized throughout the week and maintain your wellness. Do not forget to make it for your whole family. 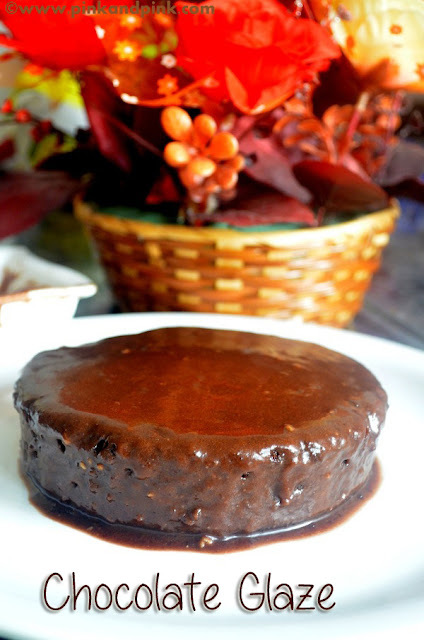 Add jaggery/palm jaggery/plam sugar for making it sweeter in a healthy way. We call this as sukku malli coffee in Tamil as we are using both dry ginger(sukku in Tamil) and coriander seeds(malli in Tamil) as main ingredients. Sukku Coffee is called Sonti Coffee in Hindi and Dry Ginger Coffee in English. In Tamil Nadu, we call it as Sukku Kaapi. Dry ginger has been widely used in India as a common household remedy since ancient times to treat various illness and to protect the wellness of the whole family. Dry ginger is a dried form of fresh ginger. Dry ginger has longer shelf life whereas fresh ginger does not have. So, it is always best to stock a cup of dry ginger at home. 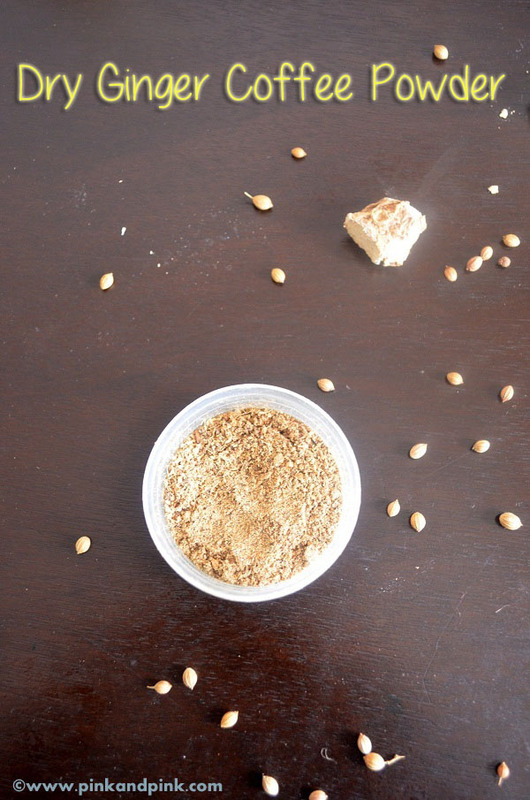 Sukku is primarily used to treat cold & cough and various stomach problems. Let it be indigestion, stomach upset, diarrhea, sore throat, cold or cough, dry ginger can give you instant relief. Dry ginger coffee is the most comforting health drink when you have sore threat, cold and cough. It gives instant relief from soar throat. You can drink it twice daily until you get relief from the annoying health problems. Sukku is very good in removing toxins from your body and cleansing the kidneys and bowels. It also simulates blood circulation. Dry ginger helps to treat nausea. 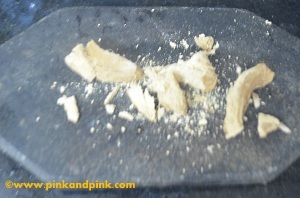 That is the reason why people take dry ginger powder with them when they travel. It really works. I had eaten a mouthful of spoiled food while traveling in bus which I bought from a restaurant. I realized after swallowing it. I immediately started feeling nausea and stomach discomfort:( I was worrying how I could manage the overnight journey. Luckily I bought a dry ginger candy available in a shop where the bus was stopped for 10 minutes for break. I immediately felt a great relief from both the problems. Although we call it as sukku coffee, we do not use coffee powder in it. It is actually used as a substitute for your regular coffee. We have already seen the goodness of dry ginger(sukku). 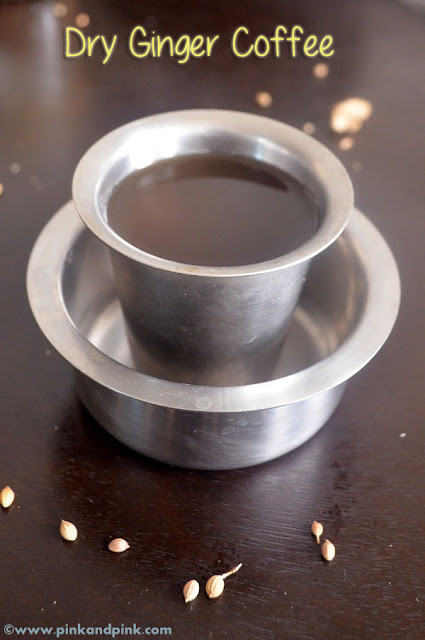 As we are adding coriander seeds, cardamom, cumin seeds and whole black peppercorn seeds, jaggery(or palm jaggery or palm sugar), we are able to get the health benefits of all the ingredients by just drinking the sukku coffee. You can easily treat cold, cough and sore throat problems. Stomach problems can also be easily treat by sukku malli coffee. 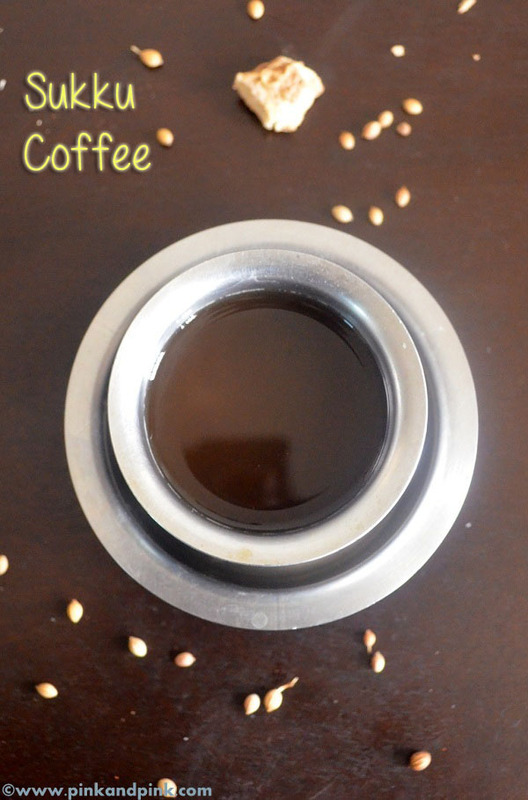 Sukku Coffee Powder Recipe - Learn how to make Sukku Malli Coffee. It is an amazing health drink with the goodness of Dry ginger, coriander seeds, cumin seeds, cardamom, whole black peppercorns with jaggery/palm sugar/palm jaggery for sweetness. Dry roast 1 tbsp coriander seeds, 1/2 tsp cumin seeds, 1/2 tsp whole black peppercorns, 1 cardamom in a pan until nice aroma comes. The color does not need to change. It might get burnt easily. So take care while roasting. Switch off and let the ingredients cool down. Crush 2 inch sukku(dry ginger) and keep it ready. 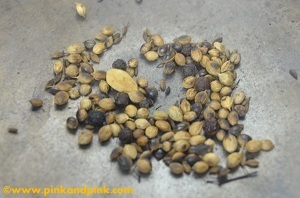 Grind dry ginger, coriander seeds, cardamom, cumin sees, whole black peppercorns in a mixer and make a fine powder. This is called as sukku malli coffee powder. You can store it in an air tight container for long term storage. 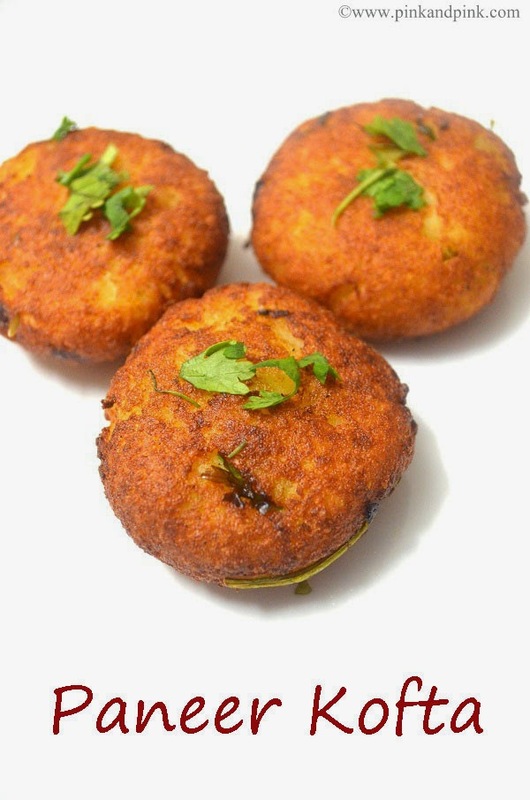 To make sukku malli coffee, add 1 tbsp sukku malli coffee powder in the pan. Add 2 cups of water. Boil it till the water gets reduced to half of the original quantity. You can adjust the quantity of sukku malli coffee powder according to your preference. 1 tbsp is ideal for making 1 cup chukku coffee. Filter the sukku malli coffee and serve it hot. No other drink can comfort you so much when you have soar throat. 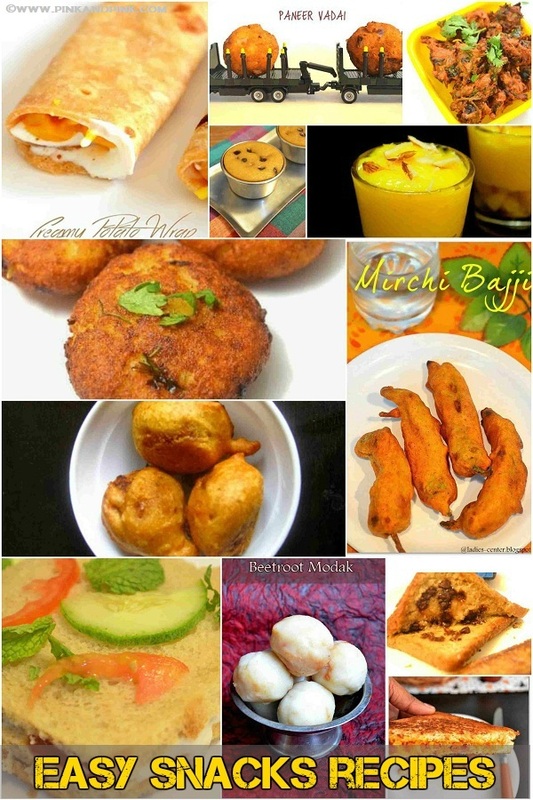 Now let us see how to make sukku malli coffee with step by step pictures and instructions. 1. Dry roast 1 tbsp coriander seeds, 1/2 tsp cumin seeds, 1 cardamom, 1/2 tsp whole black peppercorns in a pan until nice aroma comes. The color does not need to change. It might get burnt easily. So take care while roasting. Switch off and let the ingredients cool down. 2. Crush 2 inch sukku(dry ginger) and keep it ready. 3. 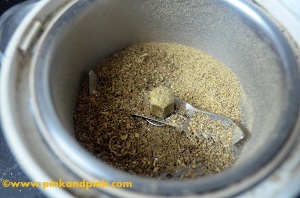 Grind dry ginger, coriander seeds, cumin sees, whole black peppercorns in a mixer and make a fine powder. This is called as sukku malli coffee powder. You can store it in an air tight container for long term storage. 3. 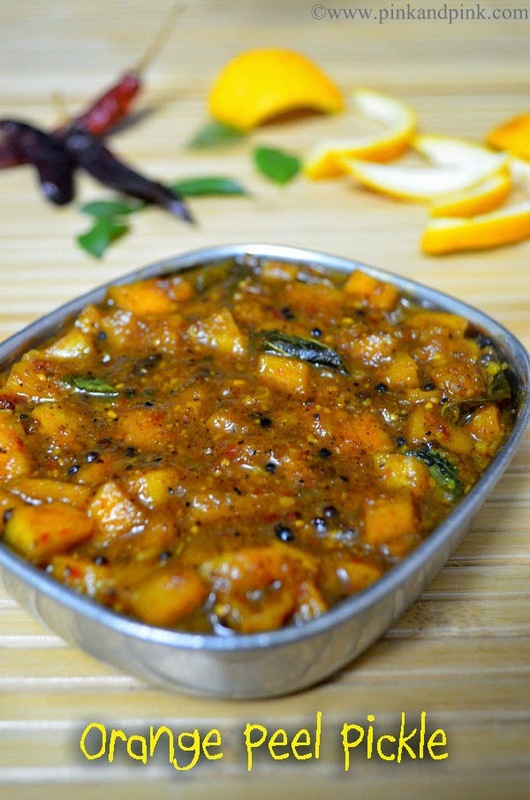 To make sukku malli coffee, add 1 tbsp sukku malli coffee powder in the pan. Add 2 cups of water. Boil it till the water gets reduced to half of the original quantity. You can adjust the quantity of sukku malli coffee powder according to your preference. 1 tbsp is ideal for making 1 cup chukku coffee. 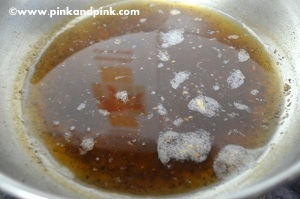 Hope you like the sukku coffee recipe. Enjoy the health drink every weekend. 1. Sukku coffee can be given to adults and kids who are above than 5 years old. 2. It can be reduced to 1/4 quantity and can be given to 3-5 years old. 3. For 2-3 years kids, you can use the recipe in the following link - homemade health tonic for kids. I often drink ginger root in hot water, but have never thought of adding additional spices. It's a nice idea which I will try. Thank you. What a fun recipe. I have never heard of this type of coffee, but I am a huge fan of coffee. Yours is much healthier so I am excited to try it. Really beneficial post! I have never tried or heard of this coffee before but would be trying it soon. 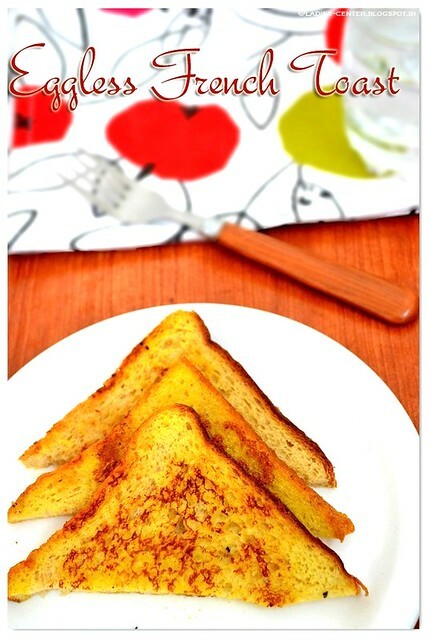 This is such an interesting recipe! Coffee is my favorite and the healthy twist makes it even better.